Res Rei is an outstanding Italian brand that produces handcrafted glasses. Their glasses are very colourful and have unique designs. Res Rei creates frames that make the person who wears them stand out from the rest. Sunglasses by the brand RES/REI for Women’s sunglasses, with reference S0007407, with a(n) Modern, Female and Retro/Vintage style.Res Rei Lucio Ltd 49 21 they have a(n) Full Rim frame made of Acetate / plastic with a(n) Oval shape in Black, White, Brown, Blue, Transparent and Jaspe colours. Their size is 49mm and their bridge width is 21mm, with a total frame width of 70mm. They have Organic, Gray, Gradient lenses. These glasses are suitable for prescription lenses. These are top of the range glasses from the brand RES/REI, made of high-quality materials, modern glasses that will give you a look that matches your image. Buy Res Rei Lucio Ltd 49 21 sunglasses in an easy and safe way at the best price in our online store. 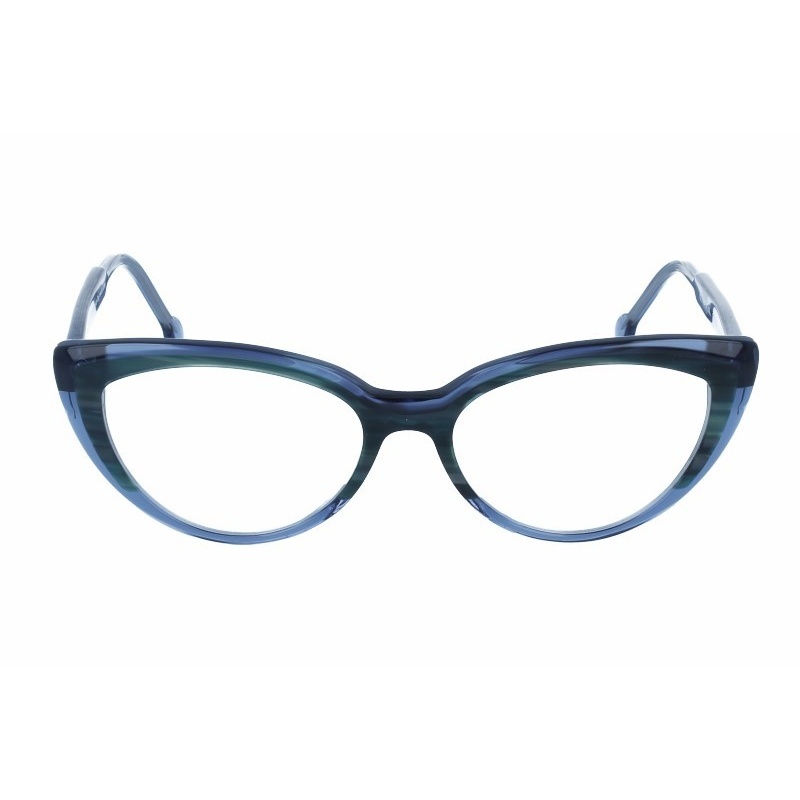 Eyewear by the brand RES/REI, for Prescription glasses for Women, with reference M0011997, with a(n) Modern, Elegant and Female style.These Res Rei Malva 244 47 22 have a(n) Full Rim frame made of Acetate / plastic with a(n) Round and Oval shape in Blue and Jaspe colours. Their size is 47mm and their bridge width is 22mm, with a total frame width of 69mm. These glasses are suitable for prescription lenses. These are top of the range glasses from the brand RES/REI, made of high-quality materials, modern eyewear that will give you a look that matches your image. Buy Res Rei Malva 244 47 22 eyewear in an easy and safe way at the best price in our online store. string(132) "Buy Res Rei Malva 244 47 22 eyeglasses. Modern and elegant model. Original product with fast shipping, quality guarantee and refund." string(23) "RES REI MALVA 244 47 22"
string(216) "Res Rei is an outstanding Italian brand that produces handcrafted glasses. Their glasses are very colourful and have unique designs. Res Rei creates frames that make the person who wears them stand out from the rest." Eyewear by the brand RES/REI, for Prescription glasses for Women, with reference M0011996, with a(n) Modern, Elegant and Female style.These Res Rei Gardenia 260 51 17 have a(n) Full Rim frame made of Acetate / plastic with a(n) Cat Eye shape in Red and Jaspe colours. Their size is 51mm and their bridge width is 17mm, with a total frame width of 68mm. These glasses are suitable for prescription lenses. These are top of the range glasses from the brand RES/REI, made of high-quality materials, modern eyewear that will give you a look that matches your image. Buy Res Rei Gardenia 260 51 17 eyewear in an easy and safe way at the best price in our online store. string(135) "Buy Res Rei Gardenia 260 51 17 eyeglasses. Modern and elegant model. Original product with fast shipping, quality guarantee and refund." string(26) "RES REI GARDENIA 260 51 17"
Eyewear by the brand RES/REI, for Prescription glasses for Women, with reference M0011995, with a(n) Modern, Elegant and Female style.These Res Rei Gardenia 248 51 17 have a(n) Full Rim frame made of Acetate / plastic with a(n) Cat Eye shape in Brown, Jaspe and Light brown colours. Their size is 51mm and their bridge width is 17mm, with a total frame width of 68mm. These glasses are suitable for prescription lenses. These are top of the range glasses from the brand RES/REI, made of high-quality materials, modern eyewear that will give you a look that matches your image. Buy Res Rei Gardenia 248 51 17 eyewear in an easy and safe way at the best price in our online store. string(135) "Buy Res Rei Gardenia 248 51 17 eyeglasses. Modern and elegant model. Original product with fast shipping, quality guarantee and refund." string(26) "RES REI GARDENIA 248 51 17"
Eyewear by the brand RES/REI, for Prescription glasses for Women, with reference M0011994, with a(n) Modern, Elegant and Female style.These Res Rei Gardenia 244 51 17 have a(n) Full Rim frame made of Acetate / plastic with a(n) Cat Eye shape in Blue and Jaspe colours. Their size is 51mm and their bridge width is 17mm, with a total frame width of 68mm. These glasses are suitable for prescription lenses. These are top of the range glasses from the brand RES/REI, made of high-quality materials, modern eyewear that will give you a look that matches your image. Buy Res Rei Gardenia 244 51 17 eyewear in an easy and safe way at the best price in our online store. string(135) "Buy Res Rei Gardenia 244 51 17 eyeglasses. Modern and elegant model. Original product with fast shipping, quality guarantee and refund." string(26) "RES REI GARDENIA 244 51 17"
Eyewear by the brand RES/REI, for Prescription glasses for Women, with reference M0011866, with a(n) Modern, Elegant and Female style.These Res Rei Azalea 262 49 19 have a(n) Full Rim frame made of Acetate / plastic with a(n) Cat Eye shape in Green and Blue colours. Their size is 49mm and their bridge width is 19mm, with a total frame width of 68mm. These glasses are suitable for prescription lenses. These are top of the range glasses from the brand RES/REI, made of high-quality materials, modern eyewear that will give you a look that matches your image. Buy Res Rei Azalea 262 49 19 eyewear in an easy and safe way at the best price in our online store. string(133) "Buy Res Rei Azalea 262 49 19 eyeglasses. Modern and elegant model. Original product with fast shipping, quality guarantee and refund." string(24) "RES REI AZAELA 262 49 19"
string(24) "Res Rei Azalea 262 49 19"
Sunglasses by the brand RES/REI for Women’s sunglasses, with reference S0008300, with a(n) Modern, Female and Retro/Vintage style.Res Rei Amalfi 217 50 23 they have a(n) Full Rim frame made of Acetate / plastic with a(n) Round and Oval shape in Green, Brown, Blue, Jaspe and Light brown colours. Their size is 50mm and their bridge width is 23mm, with a total frame width of 73mm. They have Organic, Gray, Gradient lenses. These glasses are suitable for prescription lenses. These are top of the range glasses from the brand RES/REI, made of high-quality materials, modern glasses that will give you a look that matches your image. Buy Res Rei Amalfi 217 50 23 sunglasses in an easy and safe way at the best price in our online store. 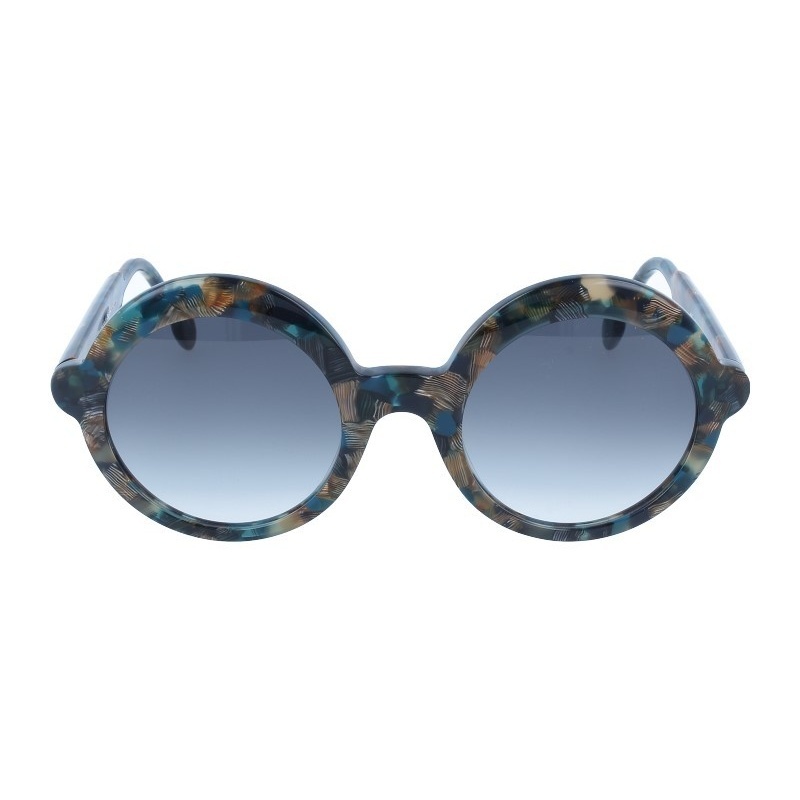 string(133) "Buy Res Rei Amalfi 217 50 23 sunglasses. Modern and elegant model. Original product with fast shipping, quality guarantee and refund." string(24) "RES REI AMALFI 217 50 23"
Eyewear by the brand RES/REI, for Prescription glasses for Women, with reference M0011036, with a(n) Modern, Elegant and Female style.These Res Rei Mimosa 187 53 17 have a(n) Full Rim frame made of Acetate / plastic with a(n) Cat Eye shape in Black and Pink colours. Their size is 53mm and their bridge width is 17mm, with a total frame width of 70mm. These glasses are suitable for prescription lenses. These are top of the range glasses from the brand RES/REI, made of high-quality materials, modern eyewear that will give you a look that matches your image. Buy Res Rei Mimosa 187 53 17 eyewear in an easy and safe way at the best price in our online store. string(133) "Buy Res Rei Mimosa 187 53 17 eyeglasses. Modern and elegant model. Original product with fast shipping, quality guarantee and refund." string(24) "RES REI MIMOSA 187 53 17"
Eyewear by the brand RES/REI, for Prescription glasses for Women, with reference M0011035, with a(n) Modern, Elegant and Female style.These Res Rei Mimosa 190 53 17 have a(n) Full Rim frame made of Acetate / plastic with a(n) Cat Eye shape in Blue colour. Their size is 53mm and their bridge width is 17mm, with a total frame width of 70mm. These glasses are suitable for prescription lenses. These are top of the range glasses from the brand RES/REI, made of high-quality materials, modern eyewear that will give you a look that matches your image. Buy Res Rei Mimosa 190 53 17 eyewear in an easy and safe way at the best price in our online store. string(133) "Buy Res Rei Mimosa 190 53 17 eyeglasses. Modern and elegant model. Original product with fast shipping, quality guarantee and refund." string(24) "RES REI MIMOSA 190 53 17"